A good photo is worth a thousand words so they say. I'm not sure there's a thousand words to say about your average coin, but a decent photo does tell a prospective swapee or purchaser a lot more about the coin and is also a good indication of grade, which may differ from your or their expectations! In this demo we are using a mid range Casio Exlim 7.2 megapixel digital pocket camera and Picasa to adjust and optimise the photos. 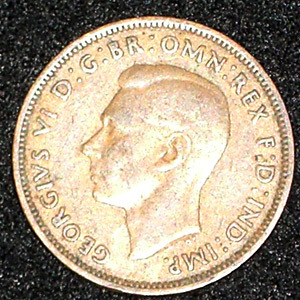 Photographing your coin using a dark non relective material works very well - in this example we use an old black fleece. 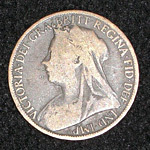 Using a dark background sets off the lustre of the coin and makes it easier for the camera to set the correct exposure relative to the coin. Attention to detail is key - remember try to photograph the face straihght on and not at an angle to prevent distortion. 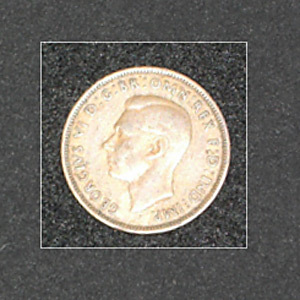 Also try to get the coin straight in the 12 to 6 position , although this can be corrected later. A personal favourite method is to lay the dark material flat on the floor, removing all the wrinkles and then put the coin on the material. I then draw up a chair and lean directly over the coin using my knees as a rest and get as close as possible by adjusting my position and zooming in. If your camera has a close up macro function make full use of it! 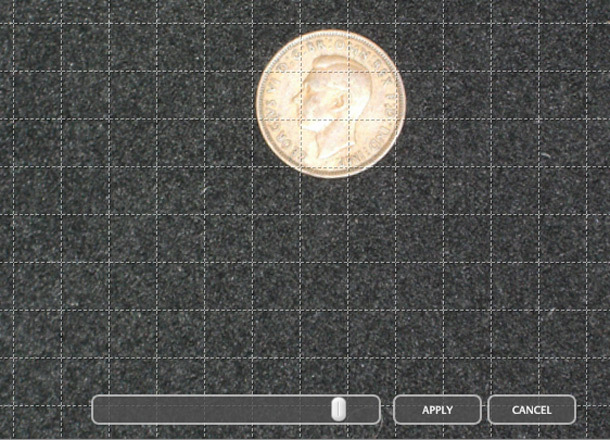 Make sure the centre of your screen is focused in the centre of the coin and take your photo. 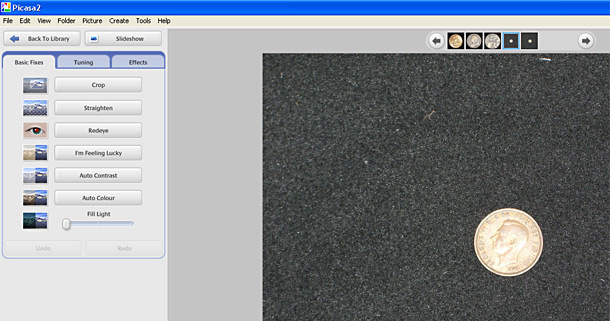 Upload your pictures to your PC using Picasa. Below is a quick guide to getting the best out of your pictures - it's not difficult to achieve really good results with pretty basic equipment - all it takes is a little practice and some persaverance learning to manipulate the results. 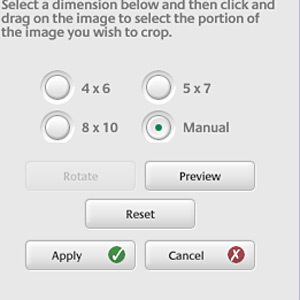 Once you've loaded your photos into Picasa, select a photo you want to tweak by double clicking it. This will open a new window within the program. The first thing you may want to do is straighten the image - first click the straighten button to the left. A grid will appear as an overlay over the photo. To straighten the photo simply drag the bar at the bottom to the left or right until it lines up with the vertical line. Then click apply. Then click the Crop button on the menu to the left hand side. Select the manual button as shown below. Place the cursor at the top left hand of the coin, and whilst holding down the shift key, drag the cursor to the bottom right hand side. Holding down the shift key makes the crop tool expand in a square. TRy to get close in to the edges of the coin as per the photo above. You can left click the crop selection and drag it around or use the keyboard arrows to adjust it's position. When you're happy press Enter or return. This will crop the picture. You now need to save the picture and this is best done by exporting it. Click the export button. Use the Browse button to select a folder where you want to save the tweaked photos to. You can create a new folder now if you need to. 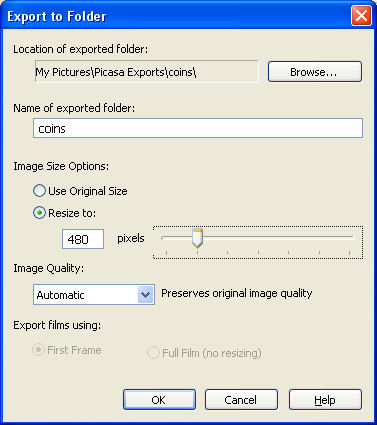 The image size options - for CoinSwap we suggest using the manual 480 pixel setting as we automatically resize all pictures to 300 pixels when you upload. Leave the image quality setting to automatic. Repeat until you are an expert!